These are Cat’s go-to pancakes you can whip up quickly on weekday mornings or weekends! The kids go crazy for them! Mix together flour, coconut sugar, baking powder, and salt; set aside. Heat a pan or skillet (nonstick or cast-iron) on medium heat. Fold a sheet of paper towel in half, and moisten with butter; grease pan. 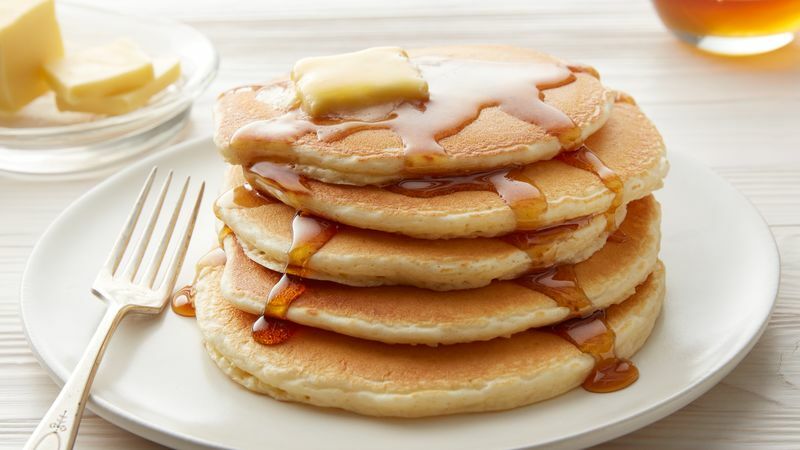 Cook until surface of pancakes have some bubbles and a few have burst. Flip and cook until browned on the underside. Place in oven to keep warm while cooking the rest! Serve warm, with desired toppings. The kids literally devour these! Preheat oven to 350 F (175C) and butter your pan. Mash the ripe bananas with a fork. Stir the melted butter into the mashed bananas. Mix the baking soda and salt. Stir in maple syrup, beaten egg, and vanilla extract. Mix in the flour.